6 Days DVD release date was set for October 3, 2017 and available on Digital HD from Amazon Video and iTunes on August 18, 2017. April of 1980. Six armed gunmen break into the Iranian Embassy in London and hold 26 people hostage, demanding the release of Iranian political prisoners. 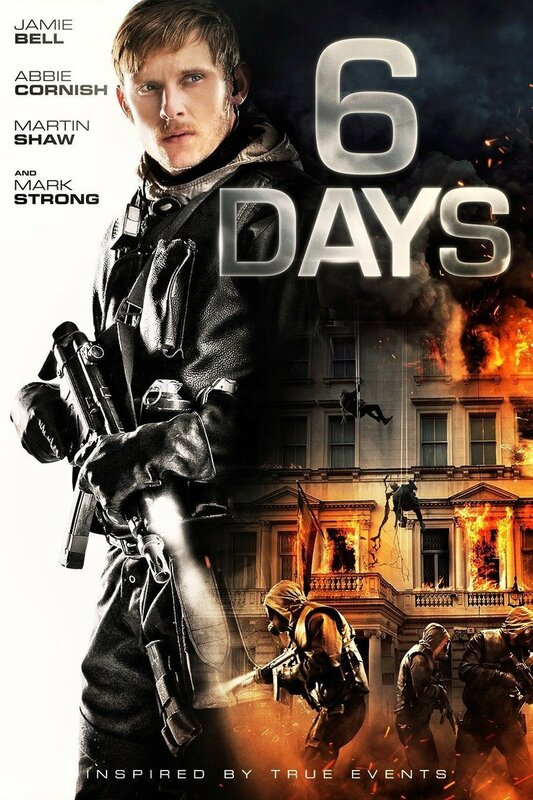 Over the next six days, the police negotiate with the gunmen for the release of the hostages, all the while preparing highly trained SAS soldiers to raid the Embassy and end the conflict in a bold move that has never been seen before in the history of the world.